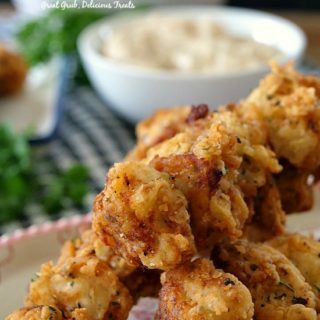 If you are like us, we are always looking for delicious tasting appetizers. 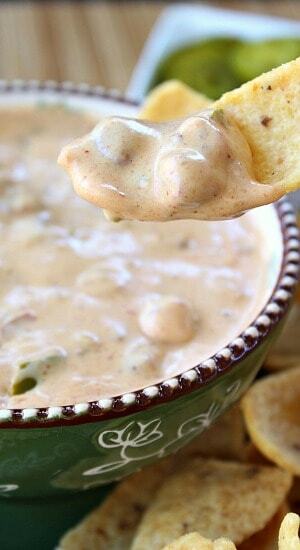 This cream cheese chili dip is a super quick and delicious appetizer that can be made in no time and is too good not to share with all of you. 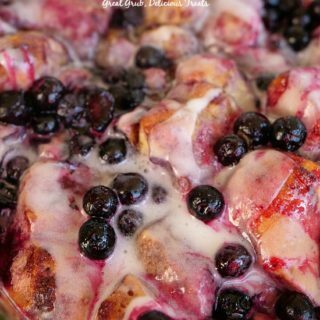 This is my BFF’s recipe that he’s been making forever! Just open up a can a chili, throw in a block of cream cheese, along with some diced jalapenos and you have a wonderful tasting appetizer! It’s that simple! 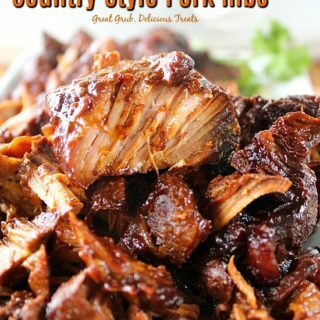 This goes great with corn chips or tortilla chips. 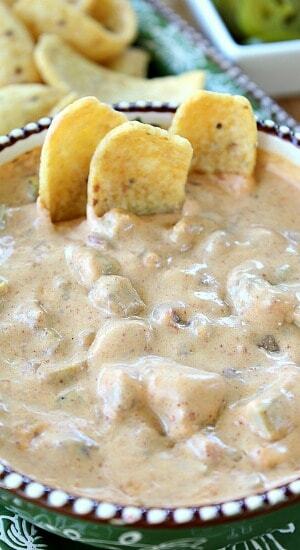 Even adding some diced red onions would be a GREAT addition in this cream cheese chili dip! If you don’t like jalapenos, add some diced green chilies instead. 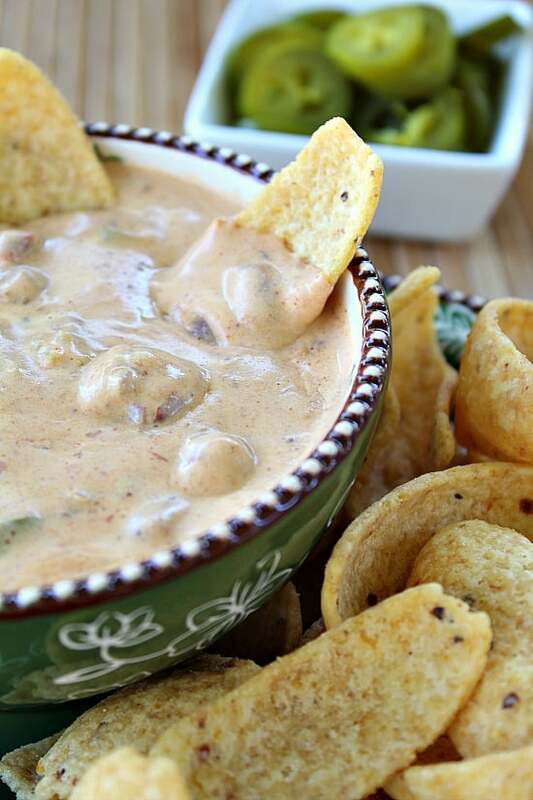 So many options to make this dip that much more delicious! This recipe takes all of about 5 minutes to make. 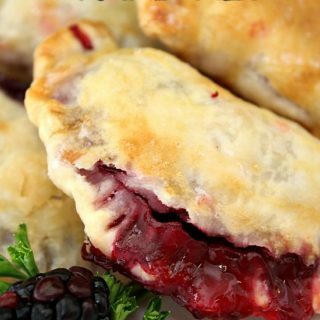 It’s super easy and is a big hit whenever it’s made! 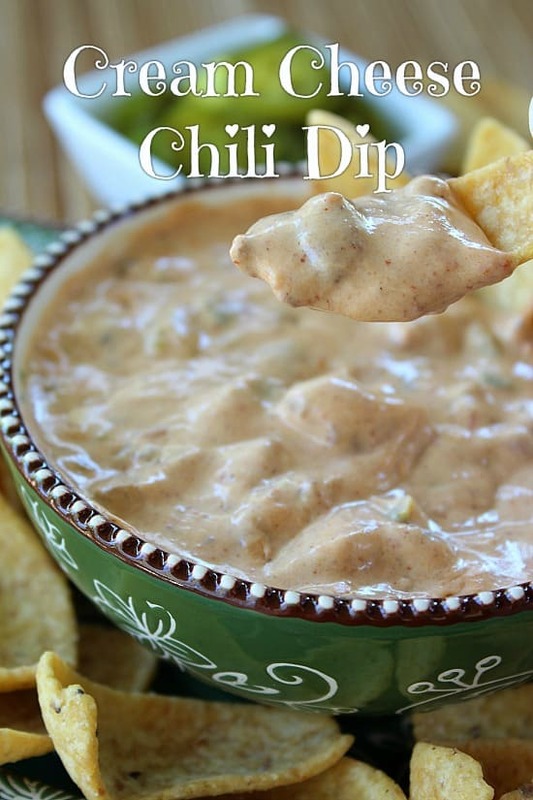 A great dip to take to any party, potluck, or for just munching on snacky food while watching your favorite shows or sporting events. 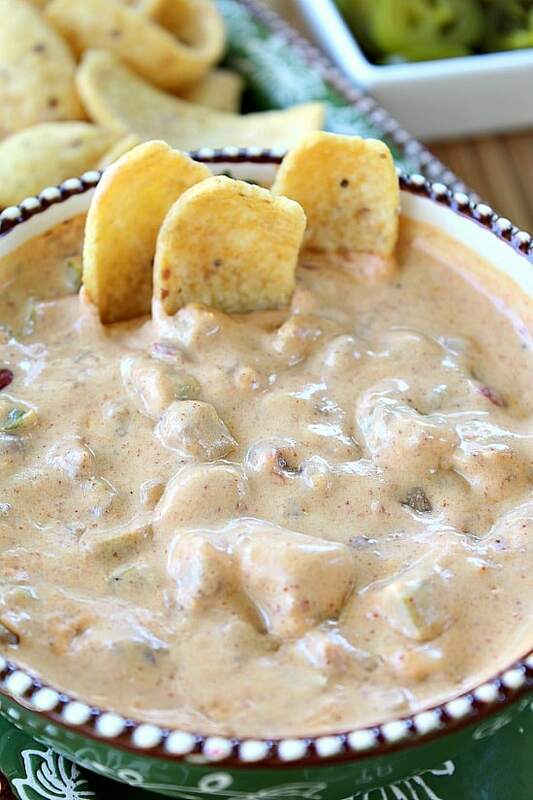 Cream cheese chili dip is definitely creamy, spicy and super yum! 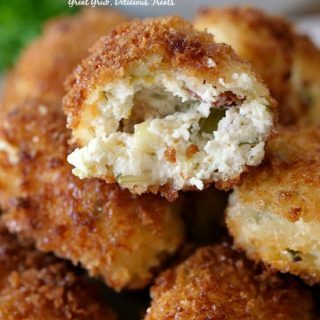 Like with so many other things, it would also be a great topping to put on your baked potato and great for dipping your french fries into! Give it a try! It will be a hit at your house too! In a small saucepan, add beans, cream cheese and jalapenos. Cook over low heat until cream cheese is melted. 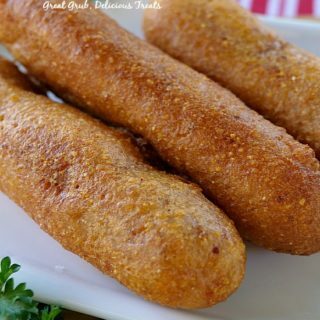 Serve with corn chips or your favorite chips.